We Know You Want One! 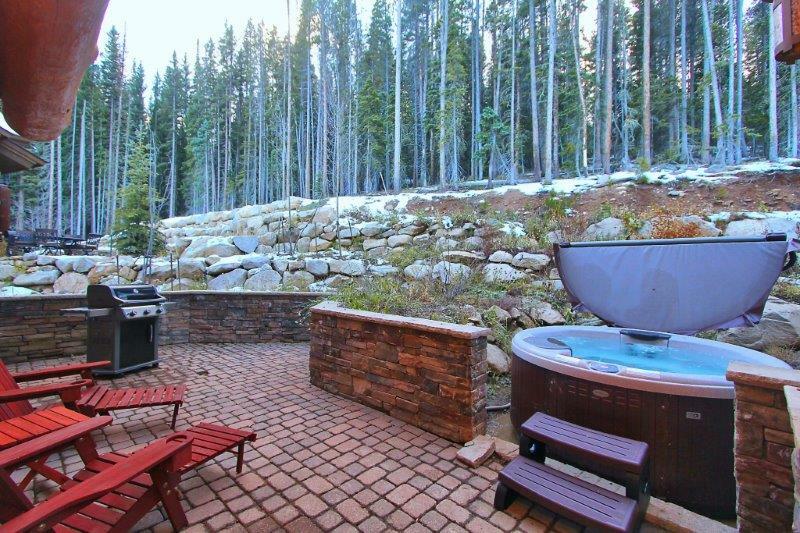 How often have you wondered about using a ski lift chair at your home backyard or garden? This was considered to be a dream. But not now, our company is well known for refurbishing used ski chairlift into an amazing conversation piece. Ski chairlifts have been used as a medium of transportation for transporting skiers up the hill. These are made from tough components and are detachable which can carry the maximum of eight passengers at once. Due to the climatic conditions and heavy snowfall up the hill, these ski chair lifts tends to wear off in its quality, and the resorts have to retire them on purpose after serving some time carrying passengers up and down. We directly collect these ski chairlifts from the ski resorts. As they are installed in the areas where there are heavy snowfall and cold weather conditions, they are more prone to getting corroded and damaged easily. And for the safety of the ski enthusiast, they are replaced by the new ones after some time of usage. Our company takes these damaged ski chairlifts and remodels them into a perfect ski bench or swing. We provide with used chair lift for sale. It can match with the glory of your house or can be installed in front of stores, restaurants, and public parks or can be used as a decorative also. We refurbish these ski chairlifts by hand in order to get back it into its original form. When we collect the ski lift chairs from the ski resorts, they are not in their perfect conditions, and if we want to put these used ski chairlifts for sale, it has to be renovated properly. The renovation is done according to the clients need. And the process of refurbishing is done with the bare hand, to maintain the uniqueness and originality of the ski. Before putting these used ski lifts for sale, we make sure that they are sales ready. The whole frame is detached from the adjoining components for scrubbing. Scrubbing is necessary to remove the rusting from the frame. After it is scrubbed from sand paper, it is sent for the paint job. Our expert workers make sure that the frame prepared is strong enough to carry at least three adults at the same time. For this, we use specially designed framework made of refurbished steel. Steel is used to avoid the frame from corrosion. Apart from that, we focus on the smallest of the details to make sure that your ski lift chair functions properly without any restrictions. We provide with used ski chairlift for sale that comes with a variety of customizations. The slats we provide comes in different wooden textures like maple wood, mahogany, teak and more. For bearing maximum weights, we provide your ski lift with new spring swings with standard eye hooks. These springs with eye hooks are used in the ski resorts for mounting the ski lift chairs. We also provide you with the option of installing a face plate. You can use the face plate for adding your name, or anything you like both textual and anime. We also provide with custom paint options which include various textures and themes. We only entertain customizations if the client wants to do so. We consider your opinion, and according to that, we perform customization. From seat slats to framework and paint job, we make sure that whatever is done with your ski chairlift is it makes you happy. Before customizing your ski lift chair, we make sure to ask for where you are going to put it. It is necessary to take all these things into consideration just to make the final product worthy of selling. Also, we did not prefer your ski lift chair to be too much fancy as it can compromise with the authenticity and originality of the product. Also, it is made in such a fashion that it can carry around 600-700lbs at the same time, so, certain kinds of customizations are not possible to maintain its strength and regularity. This is because these ski lift chairs were previously used to carry skiers top the mountain before coming to our workshop. They were roughly used, carrying the maximum load of the people and defending itself from the wrath of Mother Nature. The climatic conditions in the hilly areas are chilly, and it can damage the components of the ski lifts, making them rusty and brittle. Thus, it becomes tough for us to restore the product with the guarantee that it will function like its old self. So, certain customizations are avoided for safety purposes. We sell both the kinds of the ski chairlifts, swing and bench. It is up to you how you want your ski chairlift to be like. The need of making two versions of the ski chairlifts is because these two kinds have different usage and are also installed in specific areas. The swing versions are preferred in open areas where it can swing easily like your backyard, garden or terrace. And if you want it to be simple and subtle, bench versions are the best. You can put the bench ski chairlift to any corner of your balcony or in the garden. It is preferred by those who want to fill some extra space in their house and also can be used for decorative purpose. We provide with the facility of a faster delivery process. From order to delivery, you will be happily swinging on your beautifully designed ski lift. From crafting to making it delivery ready, we assign a single worker on a particular ski lift chair just as to make sure it doesn’t require much time for preparing it. A single worker is assigned because he can focus all his energy and time on preparing your ski chairlift. This way it can get completed within a matter of time. We provide with the facility of a door to door service, delivering your product to your door. If your locality is at a distance, we can ship your product through freight carrier, but will never get your product delayed for even a second. There is nothing that you cannot find on craigslist. This advertisement website provides its users with various sections of related to housing, sales and purchase, jobs, items wanted, community and much more. So, if you are looking for ski lift chairs for sale craigslist, there are several ski lifts to look for. As you know that ski lift chairs are used in ski resorts for transporting skiers top the hill. These ski lift chairs are decommissioned after several times of usage. The ski lift chairs are detachable which can carry the maximum of 8-9 passengers. Ski lift chair for sale craigslist has vast verities of ski lifts with the likes of bench ski lift chair as well as swing ski lift chair. Some of them are restored, and some of them require restoration. The used ski lift chairs for sale craigslist are provided by the previous users, or someone buys it in bulk and sells it on craigslist. 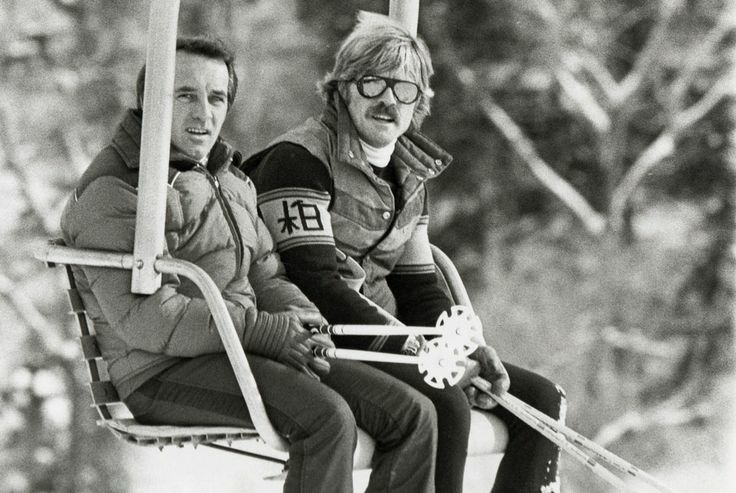 Used Ski lift chairs are pretty much high in demand. People are using used ski lift chair as a decorative item for their lawns and yards. 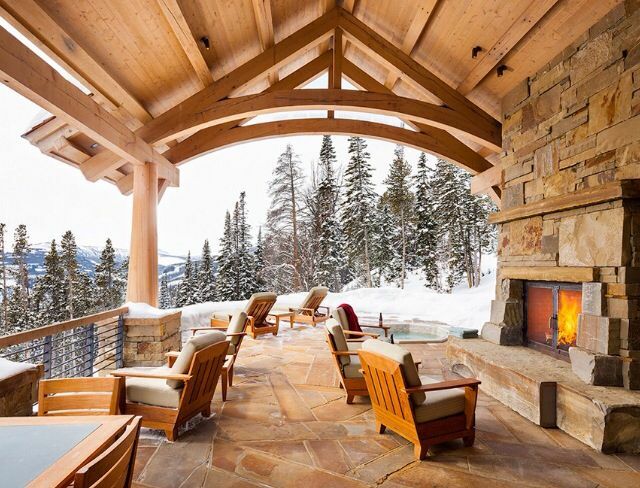 It is not all; they are considering installing used ski lift chairs in their porches and gardens as they might prove to be an amazing conversation piece. You can use it as a sitting tool and also, it can prove to be a nice decorative piece which can make your home, garden or porch subtler and attractive. 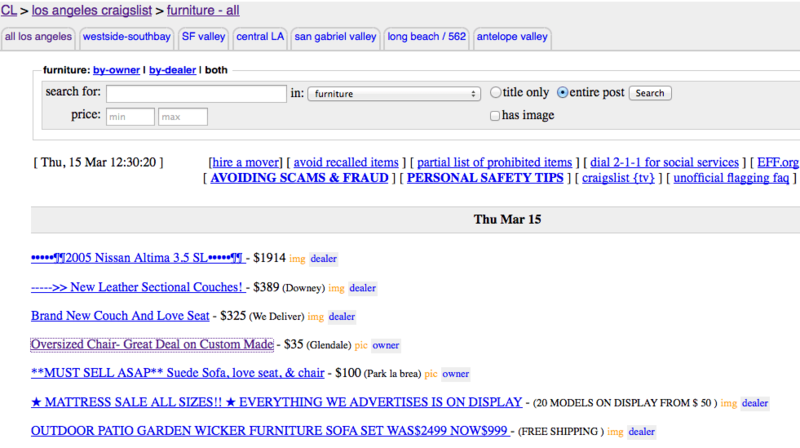 Do you know that ski lift chairs for sale craigslist are decommissioned by the ski resorts due to safety reasons? Yes, they are. 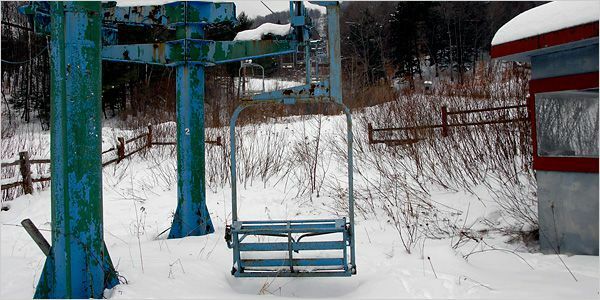 The ski lift chairs are decommissioned due to various reasons. As you know that the ski resorts are established up the hill where the temperature is below zero degrees. The climatic factors are the main reason the ski lift chairs gets damaged the most. Formation of rust fastens up the degradation process, making the components brittle and more prone to getting broken. On the other hand, it can bear the maximum of nine passengers, which can cause serious dents and bents on the ski lift chair’s framework. So, for the safety of passengers, the unfit ski lift chairs are decommissioned, or they are replaced by the new ones. Therefore, ski lift chair for sale craigslist provides with the exact same decommissioned ski lift chairs. So, used ski lift chairs for sale craigslist doesn’t guarantee the safety for old chairs if they are directly put in the window for sale without inspecting. And on the other hand, if it is fully refurbished by the seller, it can withstand the exact same weight it used to bear as a ski lift in the ski resort. If it says it is inspected properly by a professional, then it can guarantee one’s safety. Used ski lifts chairs for sale craigslist are an authentic ski lift chairs collected directly from the ski resorts. Thus, its originality speaks itself. They are pretty much heavy as they are made from heavy metal and components. The metal framework is required to provide safety to the rest of the structure. Thus it is made heavy. Also, its job is to carry people up the hill, so it is created keeping in mind all the possibilities of an accident causing scenarios. So, ski lift chairs for sale craigslist are heavy, and it requires some extra hand to lift it and place. Ski lift chair for sale craigslist if is not restored and refurbished, it requires at least 2-3 weeks to get it fully refurbished and customized. The ski lift chair refurbishment is very simple and is done any other benches. If you are restoring it for sitting purpose, keep in mind to fabricate it properly. The restoration is done with bare hands just to provide the feel of comfort while sitting. You can start by sandblasting the whole ski lift chair. Scratching and scrubbing with sandpaper will remove the rust and other unwanted layers off the frames. It is done all with the bare hands just to make sure that the authenticity and originality are maintained. Sandpaper can clear the rusty areas off the ski lifts. Sandblasting is done until the surface of ski lift chair gets smooth enough for applying paint. After that, you need to apply two layers of anti-corrosion primers to the framework just to prevent it from corrosion. Then you have to provide some extra support to the framework using refurbished steel or metal all over the frame. With the above procedure done, your entire framework is completely ready. The next part of the restoration process is the paint job. There are various custom paints available for the paint job. But, it is preferred that you should get it all matte as matte provides with a great finish to the framework. There are many matte colors available from black to blue and green; you can choose any color according to your taste and choice. Also, you can provide the framework with certain designs and themes. For the base, you can install additional wooden slats on the ski benches for providing an aesthetically pleasing base. You can choose from maple, teak or mahogany as your slat material. Wooden slats are preferred because they tend to give a stunning finish to the whole structure. You need to get these wooden slats varnished and polished to such an extent so that it gives a natural feel. But, the wooden slats are optional; you if you prefer something other than wood then you can use slats made from synthetic, plastic or rubber. Or you can leave it plain, whatever suits you. Put the customization process on one side and mainly focus on its main attribute, which is to provide you better comfort sitting experience. If you want to make it fancier, you can go on and install a face plate or a name plate on you ski chairlift bench. On these plates you can add your name, address or any other phrase you like and the face plates can be of any animal or any other thing that you like. Old Chairlift..You’ve Had a Good Run! Ski lift chairs have been used for years for transporting skiing enthusiasts up the hill. These are the detachable chairlift which can carry the maximum of three to eight passengers. These ski chair lifts are retired after some time of usage as they tend to become brittle and lose its quality after some time due to the climatic factors. As they are installed in those areas where there are heavy snowfall and cold weather conditions. Thus, for safety purpose, they are replaced once in a while. What after, are they thrown with the other garbage and stuff? No! They are reused. Used Ski lift chairs are pretty much high in demand. People are using used ski lift chair as a decorative item for their lawns and yards. It is not all; they are considering installing used ski lift chairs in their porches and gardens as they might prove to be an amazing conversation piece. People can use it as a sitting tool and also, it can prove to be a nice decorative piece which can make your home, garden or porch subtler and beautiful. There are various companies which provide with the services of restoring old ski lift chairs and converting it into a garden chair. The ski resorts directly sell the ski lift chairs to these restoring companies. The restoration process is done with bare hand, and no machines are used. From scrubbing it from sand paper to getting it ready for paint, it takes some time. When they are supplied to the refurbishing companies, some of the ski lift chairs are corroded, others bear damaged parts, and some of them are in their worst conditions. Thus, the refurbishment is done keeping in mind all these factors. It has to be perfect to be used again. The workers pay strict attention even to the teeny-tiny details, and a special focus is given on how to make it safer. It is necessary as these ski lift chairs after renovation can carry the maximum weight of 600lbs (2-3 adults). Used ski lift chairs sport the framework made from refurbished steel and maple wood slats (optional), it also provides customized wooden slats made from teak, mahogany, etc. For bearing maximum weights, new spring swings are installed that comes with standard eye hooks which are used in the ski resorts for mounting ski lift chairs. It also provides with the option of installing a face plate where you can add your home address, name or any other phrase you like. The paint job is done according to the demands of the customer, based on the surroundings of where it is going to be rested. Also, there are some certain upgrades available but only are installed on specific demands. It is up to the customer how they want their used ski lift chair to be like. The refurbishment companies provide two options for it; you can either use it as a swing or as a bench. If you want to use it as a proper conversation piece, prefer bench and bench are also preferred where there is a shortage of space, like on the balcony or elsewhere. The swing version is preferred by those who have a large backyard or a garden as it requires larger space for movements. The swing versions are mounted with the standard swing springs for giving the natural feel of the skiing adventure, and that too in your garden or porch. The customizations are only done according to the likes and dislikes of the customer. From seat slats to framework and paint job, everything is done according to the criteria set by the customer. Also, it also matters where you are going to put it. Thus, your home surroundings are also taken into the consideration before getting it a complete makeover. One can choose from custom paints finishes and customized wooden slats. The wooden slats come in different shades of wooden texture and choose from maple, teak and mahogany woods. As these ski lift chairs were previously used to carry skiers top the mountain and the climatic conditions there made these ski lift chairs prone to get damaged after several years of use. Thus, restoring it becomes a tough task due to safety reasons as some of them are corroded and others worse. Thus, the restoration is done in such a way that during the customization, it doesn’t look bad at all. The face plate is optional and can be used to add your name, family name or any catchy phrase which defines you or the ski. Also, they are not made so much fancy, as they can only carry 2-3 people at a time, keeping it simple. The companies also don’t prefer too much customization as it will lose the authenticity of the ski lift chair. Well, the refurbished ski lift chairs can attract eyes from anywhere. Mostly it is preferred installing outdoors, but if you have some extra space left inside your house, it could act as an excellent conversation piece. Also, where to put ski lift chairs also depends on the type of it. If it is a swinging ski lift chair, it requires some extra space to make the swings properly. Thus it is preferred outdoors like in the porch, backyard or the garden. It can also be installed on the terrace if you tend to spend some alone time soaking in the sun or the breeze. It is best for a terrace, and if customized properly, it can make your house look good too. On the other hand, bench ski lift chairs can be preferred both inside and outside the house, as it doesn’t do much of the swinging. Apart from homes, used ski lift chairs are an excellent option for outdoor parks, amusement parks, outside a restaurant, or anywhere people socialize. It is a fun theme and really an incredible idea of using ski lift chairs as benches and swings. Ski lift chairs are used in the ski resorts for carrying passengers to the top hill. Skiing enthusiasts use these ski lift chairs to go up the hill. These ski lifts can carry the maximum of 8-9 passengers at a time. These ski chair lifts are placed on higher altitudes, and there is snow everywhere. Thus, regular contact with these harsh weather conditions makes these ski lifts prone to get damaged easily. Some of them get corroded, and some of them are affected by dents and loose components. This is due to the rigorous usage of these ski lifts as they are used for hours carrying passengers up and down, and weather conditions also play an important role in the improper functioning of these ski lifts. When these types of conditions arise, ski resorts instantly decommission the unfit ski lift. This is a necessary step taken keeping in mind the safety of the passengers. Dysfunctional ski lifts are more prone to creating accidents, and some of them are life threatening. So, they are decommissioned. But, there is a silver lining; these decommissioned ski lifts are collected by us. We refurbish these ski lifts and prepare them for sale again. But this time they are not used as a ski lift chair, but as a ski lift swing or a ski lift bench. We directly collect these decommissioned ski lift chairs from the ski resorts and prepares them to resell. These are the actually used ski chair lifts that we sell. Ski lifts chairs for sale are only finalized when the ski lifts are market ready. That means the whole ski lift goes through a complete makeover before we display it for sale. 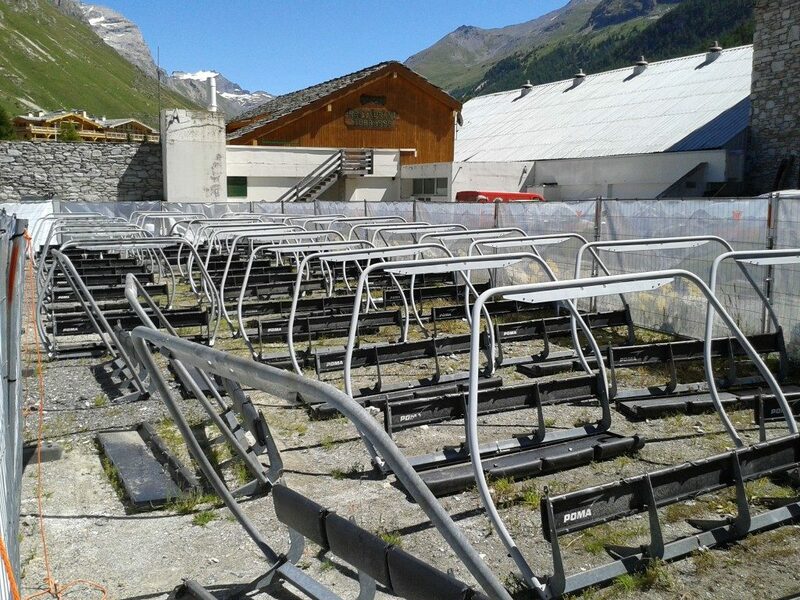 These are the actually used ski chair lifts decommissioned from the ski resorts. We collect the decommissioned ski lifts from the ski resorts and refurbish it to sell as a ski lift swing or ski lift bench. Before placing ski lift chair for sale, they undergo some restoration processes. We start by removing the corroded areas and smoothing the uneven layers. The ski lifts we acquire are damaged; some of them are corroded while others have some dents and bends in them. Thus, the whole framework requires some serious sandblasting. Using sandpaper to scrape off the corroded layer also smoothens the surface. We then apply one or two coats of primers and anti-rust coating just to avoid it from getting on the verge of corrosion again. When the whole framework is ready, we then provide it with some extra support by placing a refurbished metal framework. It is all done to maintain its weight bearing capacity. We only provide quality Ski chair lifts for sale. When we are done with the framework, it is sent to the paint shop. It is provided with the matte finish of the color the customer decides. We also provide glossy ski chairs for sale. We are full with custom paints and offers different textures and designs of ski chair lifts for sale. We also provide additional customization options for ski chairlift chairs for sale. With the likes of wooden slats, the ski lifts look incredible appearance wise. We provide with the option of installing different wooden slats made from maple, mahogany, and teak. These wooden slats are firmly polished and are given an authentic look. We also provide the option of installing a nameplate and a faceplate on the top center of the Ski chairlift for sale. One can use this faceplate and nameplate to add their name or any other phrase they like. Or else, you can use a faceplate of any face, be it a cartoon character, or any other thing that you like. But these are only installed on your ski chair lifts if you want to, they don’t come with it, you have to request for this additional feature. We only put ski chairs for sale which passes the quality test. It is that the maximum weight a ski lift chair can bear is of 2-3 adults, more than that, it might not withstand it. Thus, we prepare these ski lift chairs for sale by making sure that it doesn’t compromise with the quality. All the components are cross-checked again before putting the ski chair lifts for sale. We provide two versions of ski chairlift chairs for sale, one is ski chairlift swings, and the other is ski chairlift benches. Ski chairlift swings are like normal swing benches but with a ski touch. The swing and bench version of ski chairs for sale are refurbished in the same manner, and no extra procedure is followed. You can use the swing and bench ski lift as a decorative piece as well as a sitting piece. We provide with some aesthetically pleasing ski chair lifts for sale. Where Would You Put Yours? You can place these ski lift chairs wherever you want in your house, both inside and outside. If you have a larger living room, this ski lift chair will look great. You can use it outside as well in your garden or porch. You can use this ski chair lift on your terrace also. It is an ideal conversation piece. You can use it during summer nights and winter afternoons. If you like to spend some alone time reading books and listening to music, you can always hop on it. If you are planning to have the swing version, it is also great, but it requires a mounting spring if you are planning to place it inside your home. Swings are best suitable for outdoor placings like in your garden, porch or your terrace. They are loved by the children mostly as it swings. This ski lift chair furniture can bear 2-3 adults at a time. Ski chairlift chairs for sale are eligible for both domestic as well as commercial purpose. These ski lift chairs are high in demand by many restaurant outlets, shopping complexes, malls, children’s playground and where people like to socialize the most. We deal with real decommissioned ski lift chairs; make them usable again but for a different purpose. Ski benches can prove to be an excellent alternative for normal park benches. A ski bench offers the customers with a great range of ski lift furniture without compromising the quality and originality of a ski lift chair. A ski lift chair bench can make your home look great by creating a perfect setting inside as well as outside your home. It fits very well with the surroundings and due to its unique design; the ski lift chair bench will definitely become your favorite furniture in the house. Before they are created into this mesmerizing bench, they used to serve in the ski resorts carrying passengers up the hill. When they are decommissioned from the ski resorts, the refurbishing companies collect them directly from the ski resorts. The ski chair lifts are decommissioned due to the fact that they tend to wear out in its quality after several times of use. They get corroded and are more prone to getting into any accidents. Thus, as a precautionary measure, the ski resorts decommission these ski lift chairs. But they are not thrown or dumped as garbage. They have another use, to make your leisure area look perfect. These decommissioned skis lift goes through a complete makeover to look like a ski chairlift bench. The ski lift chairs are refurbished like all the other benches keeping in mind their main use which is for sitting purpose. All the customizations are done keeping in mind that it provides the feel of comfort while sitting. The refurbishing starts with scratching and scrubbing the rust and other unwanted layers off the frames. It is done all with the bare hands. Sandpaper is used to clear the corroded areas of the ski lifts, and the process is done till it gets smooth enough for applying paint. After all the scrubbing and scrapping is done, two layers of anti-corrosion primers are applied on its surface to prevent it from rusting. The framework is provided with some extra support by using refurbished steel all over the frame. Now, the ski lift chair bench framework is completely ready. The next part of the refurbishment process is the paint job. The companies prefer matte black, but additional colors are also available for customers to demand. You can order simple plain colors to custom colors. Also, there is an option of designer paint jobs with the likes of structures and abstracts painted on it. Optional wooden slats are also provided with the ski benches for providing an aesthetically pleasing base. The wooden slats are mostly made with polished maple wood to provide a stunning finish, but upgrades to mahogany slats and teak slats are also available on customers to demand. These wooden slats are varnished and polished to such an extent it gives a natural feel. The installation of wooden slats is optional, and instead of these wooden slats, you can use any other medium as a seat. You are provided with other options like synthetic slats, plastic slats or rubber slats. Or you can leave it plain. The refurbishing companies will make sure that this bench proves to be aesthetically pleasing for you no matter how you use it. Aside from that, it provides you with the option of installing a face plate or a name plate on your ski chairlift bench. On these plates you can add your name, address or any other phrase you like and the face plates can be of any animal or your favorite anime character. But these are the extra customizations done only when a customer demands. These ski benches are crafted to support the weight of a maximum of 2-3 adults at the same time. Thus it becomes necessary that not too much weight is put on it. You don’t have to give much of thought on where to place your ski lift chair bench. It will only increase the glory of the place where it is installed. Unlike ski chairlift swings, ski benches don’t require a solid mounting point. So, it can be placed anywhere inside and outside your house. But, putting a ski lift chair in your yard makes it a great addition to your setting. Put it in some place where the sun rays hits. Or if you have some extra space left in your living room, you can place it there as it doesn’t require any extra mounting place. Also, you can customize your ski benches in accordance to the surroundings of the place you are going to place it. You can paint it to the matching wall colors, or according to the props, you have in possession. Also, if you tend to place it in your garden, giving it, a floral look will only make your garden look more beautiful. But it is advised to keep your ski lift chair bench as simple as possible because it will look great in that manner also. On the other hand, if you are a restaurant owner, you can replace your seats with ski benches, giving your restaurant a unique look. Also, the ski lift chair bench is an ideal choice for using as an alternative for park benches. Parks with ski benches will definitely look great; also children’s playground can also use this type of creative benches. Other than that, you can use ski benches for a ski shop, malls and other places where people gather to socialize. The ski chairlift bench proves to be an excellent conversation piece which you can enjoy throughout the year. On winter afternoons and summer nights, you can enjoy sitting on it conversing with your loved ones. Or it is an ideal sitting piece which you can use to spend some alone time reading books or listening to music. It is an ideal sitting piece where you can spend some quality time alone or with your loved ones from the family or friends. You can sit on it to enjoy the cold breezes during the summer, or you can enjoy the bright sunshine of the winter afternoons. So, place it someplace where you can enjoy all the season without any interruption. After serving in ski resorts carrying passengers up the hill, now they have found a much simpler job that is as an amazing sitting piece. Ski lift chair benches have become quite a fashion nowadays, and for old ski chair lifts, it is kind of another life for them. Ski lift chairs have been used for years for transporting skiing enthusiasts up the hill. A decommissioned ski lift chair can now be used as furniture after some makeover. After several years of usage, they start getting corroded and are severely damaged by the weather conditions. You can use the ski lift chair as a great conversation piece and can put it around your house or places like public parks, ski shops, and restaurants. They are directly collected by the refurbishing companies from the resort itself. Ski lift chair has set a perfect example of using thrown an object in a better way. Ski chairlifts can be remodeled into two different versions and how you convert it into furniture is all about your creativity level. Vintage is SO HOT Right Now! Vintage style ski lift chairs are in the trending fashion right now. Remolding an old ski lift chair into a vintage style ski lift chair is not a tough task, and many people are doing it. It all requires some special tools, and you can do it all by yourself. There are various restoration companies who can perform the desired remolding to your ski lift chair. The refurbishing companies directly buy the decommissioned ski chair lifts from the ski resorts, and you can buy it from them. Ski chair benches have two versions, ski chair swings and ski chair benches, and how you want your vintage style ski lift chair to look like is totally up to you. These two are different in such a way that a ski swing bench requires a mounting point and a spring and it is not ideal for compact areas. They are ideal for outdoors like your garden, porch or terrace. On the other hand, ski benches are those normal park benches which don’t swing. Ski lift chairs are ideal for placing in your home backyard, garden, porch, balcony, and terrace or anywhere inside the room where you find it eligible. On the other hand, for public use, it can be installed near parks, school playground, restaurants and other places where people socialize. Due to its unique design and attributes, ski chair benches are known to wake up the adventurer in you whenever you sit on it. The ski lift chairs are restored like any other heavy metal component keeping in mind their main use which is for sitting purpose. If you are refurbishing it to give a vintage style look, the procedure is all the same from scrubbing to painting. The main objective of restoration is that it should provide aesthetically pleasing experience whenever somebody sits on it. These ski benches are crafted to support the weight of a maximum of 2-3 adults at the same time. Thus it becomes necessary that not too much weight is put on it. The refurbishing starts with scratching and scrubbing the metal framework of the ski lift chair. The whole metal framework is sandblasted, and it is done all with the bare hands. Giving it a vintage look is all done in the last when the framework is ready. Sandpaper is used to clear the corroded areas of the ski lifts chairs. Sandblasting is done until the frame gets smooth and subtle for applying paint on it. When sandblasting is completed, one-two layers of anti-corrosion paint are applied on the surface of ski lift chair just to protect it from rusting. Refurbished metal is added to the framework just provide some extra support to the ski lift chair. The next part of restoring the ski lift chair is to apply paint. Here, painting plays a crucial role in giving your ski lift chair a vintage look. There are various colors that resemble of giving a vintage look. Pick flashy colors, colors which are bright and can catch an eye from a farther distance. The important thing to keep in mind is that avoid giving it a matte finish if you are looking for something vintage. There are various colors to choose from; you just have to look for it. Or you can apply some simple plain colors giving it a retro look. Avoid custom colors as they were not present in the retro years. You can give your ski lift chair a vintage look by providing it with certain details and designs. For giving ski lift chairs an authentic vintage look, some restoration companies use certain slats made from wood, rubber, plastic and synthetic. But, for keeping it real retro, avoid having any slats. If you insist, you can place a wooden slat as a seat on your ski lift chair, just to make sure, they are just there to provide a level of comfort while sitting. These wooden slats are mostly made with polished maple, mahogany, and teak to provide a vintage finish. To give it a vintage look, they are polished and varnished with certain chemicals. But as I said, slats are optional when it comes to giving your ski lift chair a vintage look. They are just there to aesthetically please you when you use it. Aside from that, it provides you with the option of installing a face plate or a name plate on you ski lift chair. 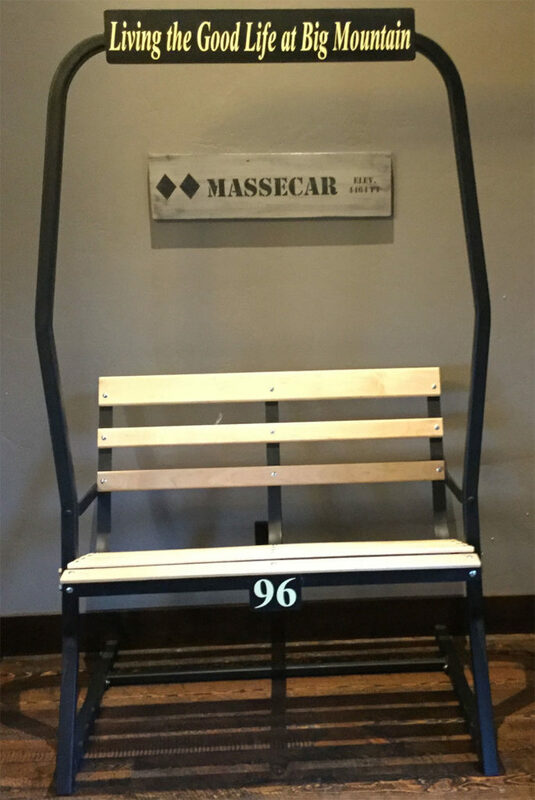 On these nameplates, you can add your name, address or any other phrase you like in retro style and on the other hand, you can add the faceplate on the top center of the ski lift chair. To give it a retro look, try to add a faceplate which seems retro like a vintage hat or anything that was used in the early years. You can place it anywhere you like from your living room to your own personal room. It will only make your room look more pleasing than ever. Ski chair benches have become quite a fashion nowadays, and for old ski chair lifts, it is kind of a second innings for them. A decommissioned ski chair can now be used as furniture after a certain makeover. After serving in ski resorts carrying passengers up the hill, now they have found a much simpler job as a sitting tool. These lifts are decommissioned after several years of usage as they become prone to rusting and are severely damaged by the weather conditions. They are directly collected by the refurbishing companies from the resort itself. You can use the ski lift chair furniture as a great conversation piece and can put it around your house or places like restaurants, public parks, ski shop and much more. Ski chair lift furniture is a perfect example of reusing a used object in a better way. No one should have thought of such a creative idea of using ski chair lift as furniture for the home. Ski chairlifts come in different shapes and sizes and how you convert it into furniture is all about your creativity level. You can do it all by yourself, or you can take help from those who are expert in refurbishing old ski lift chair. The refurbishing companies directly buy the decommissioned ski chair lifts from the ski resorts, and you can buy it from there. Ski chair benches have another version, ski chair swings. These two are different in such a way that a ski chair bench is stationary, it doesn’t make swings, and on the other hand, ski swings are those which acts as other swinging benches and swings like a normal swing. Ski chair benches are ideal for placing in your home backyard, garden, porch, balcony, and terrace or anywhere inside the room where you find it eligible. On the other hand, for public use, it can be installed near parks, school playground, restaurants and other places where people socialize. Due to its unique design and attributes, ski chair benches are known to wake up the adventurer in you whenever you sit on it. Building ski chair lift furniture is not that tough task, and with the help of experts, you can form it in whatever design you like. When the ski chair lifts are collected by the refurbishing companies, they are in their worst shape and condition. This is all due to the harsh weather conditions and the usage of the ski lifts for a long duration. It carries about 2-3 passengers up the hill at a time making it more prone to get damaged. This is why ski resorts replace these ski lift chairs once in a while as a precautionary measure. The restoration process starts with scrubbing the frame with sandpaper. When they are supplied to the refurbishing companies, some of the ski lift chairs are corroded, others bear damaged parts, and some of them are in their worst conditions. This is done to remove the rust from the surface and to make it smooth and plane. After the scrubbing is done, it is sent for the paint job. They are provided with custom paints and are designed and crafted according to the customer’s need. The framework is supported by refurbished steel, and wooden slats are also provided. You can also get a customized wooden slat made from maple, teak or mahogany. The ski lift furniture can bear the weight of 3-4 adults. Also, for additional customization, you can also have a face plate or a name plate where you can write anything on it from your family name, your name, your address if you are planning to place it outside or any phrase, graphic or anime. But these are all done on specific demands made by the customer. Some people like it simple and subtle and some like bedazzled. It is up to the customers how they want it. But, it is preferred to keep the ski chair lift furniture as simple as possible as making it fancier will overshadow the originality and authenticity of the ski chairlift, and it might not look good wherever you put it. Ski lift chair furniture can be placed anywhere from your home to any public place. Ski lift chair furniture is designed in such a way that it looks good and can attract eyes from anywhere. It is best for outdoor purpose, but you can also place it indoors, all it requires is some extra space. It will look good in your drawing room. Talking about your house, you can install it in your backyard, porch or your garden. If you have a terrace, it is an ideal chair for enjoying summer nights and winter days. It can prove to be a conversation piece where you can talk with your loved ones. Due to it is a ski chair bench, it can be placed inside your rooms. Outdoors, it can prove to be a decorative as well as a conversation piece. It can make your house or room more functional due to its unique look. It also comes in a swing version where instead of being a normal bench, you can use it a swing bench. But, it cannot be placed anywhere as swinging ski chairlifts requires some extra space just because of the swinging function. That means, it requires some large space if you are planning to place it in one of your rooms. These kinds of ski lift chairs are an ideal choice for having placed in parks and playground because kids love swings. Also, they are ideal for placing in front of ski shops and ski resorts. On the other hand, it can be placed in public places where people come to socialize like coffee houses, restaurants, malls, parks, playgrounds, etc. It will look great wherever it is placed and its unique built, and design always attracts people towards it. It is a fun bench to have, from serving passengers to travel the top hill to use as furniture at home or elsewhere. Are you the Kind of Person Who Would Want a Ski Chair Lift Swing for Your Porch? Skiing is loved by most of the people and traveling on a ski lift chairs is everyone’s dream. Ski lift chairs are used in ski resorts for the transportation of passengers to the top hill from where they can enjoy skiing. Ski lift chairs are decommissioned after several uses as they are prone to getting the passengers to accidents. The ski resorts have to replace these ski chair lifts once in a while as a measure of precaution for the passengers. So what then, what is done with the decommissioned ski lift chairs? They have another use! Have you heard about ski lift chair porch swing? These are trending nowadays with everyone getting in line to get one. Having a ski lift chair porch swing now days is very common among people as it comes under those things which are a little out of the league. Ski lift chair swings are made from decommissioned ski chairlifts. It is the nicest example of recycling and reusing. The damaged, rusty ski lift chair is refurbished in such a way that it becomes impossible for a person to tell the difference. Ski lift chair swing is ideal for placing on your porch due to its unique design and the swing functionality. It is made from those decommissioned ski lifts which are no longer able to perform with full potential. These ski lifts get damaged with the regular usage and are declared unfit for further functioning. Harsh climatic conditions are also the reason these ski lift chairs get damaged. It becomes necessary to replace the ski chair lifts to avoid any causality. Ski lift accidents are very rare, and an accident due to a dysfunctional ski lift can cause serious damage to the passenger. Ski lift chair porch swing comes in all designs. 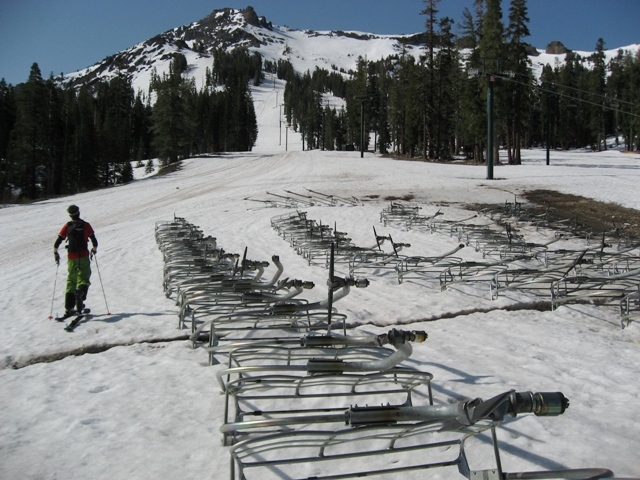 The damaged or unwanted ski chair lifts are collected by the restoration companies. A ski lift chair swing simply acts as a normal swing bench, but the only difference is that they are ski lifts. The ski lifts are collected directly from the ski resorts by the restoration companies. At the time of collection, these ski lift chairs are not in good shape as some of them are corroded while others are broken or dented. To convert it into a ski lift porch swing, it undergoes some serious makeover. The refurbishing starts with the scrubbing. The whole framework is scrubbed with a sand paper to make the components smooth and subtle. Also, scrubbing is necessary to remove all the rust from the frame and components. Corrosion is a common problem with ski lift chairs as they come in direct contact with water most of the time. Also, these ski lift chairs can carry at least 1000lbs at the same time. This rigorous usage makes it prone to getting damaged after several uses. So it becomes necessary to rebuild the whole frame. Therefore, the new frame is comprised of refurbished steel. Steel provides extra support to the ski lift chair swing. After providing it with steel frame, Wooden slats are installed as the seats. These wooden slats come in different textures as they are made with teak wood, mahogany, and maple. These wooden slats provide extra support to the ski lift chair swings. The paint job is the crucial part. They are painted with custom paints, and each ski lift chair swing is provided with a face plate and a nameplate. You can use this faceplate to add your name or anything. The best part about ski lift chair swings are that they look pretty amazing anywhere they are placed. They are ideal for porches and gardens, but if you have enough space in your room or terrace, you can place it there; it will surely affect how your room looks. It can act as both decorative and sitting purpose. If talking about commercially, these ski lift chair swing can be placed around all the public parks, playgrounds, coffee houses, restaurants, malls and wherever people gathers the most. Its unique design and compatibility factor can place it anywhere. People love this kind of stuff as it tends to something little out of their league or something they don’t see often. Thus, it is definitely the kind of things that people want in their possession. The best part about it is that they can customize it in accordance to their needs and requirements. It works similarly as any normal porch swing; the only difference is that it is a lot cooler than a normal porch swing. The ski lift chair porch swing can prove to be a fun thing to have as you can use it during summer nights and winter afternoons for relaxing. If you tend to place it on your terrace, you can enjoy the warmth of the sun during winters and breezy nights during hot summers. It just proves to be an amazing conversation piece as you and your loved ones can hop on it talking. Or you can have some quite alone time reading a book or listening to music or anything you love the most. The best thing about it is that it swings. How often have you seen a ski lift chair swinging? Probably never I guess. Sitting on a ski lift chair swing can compose a feeling of an adventurer in you. You can generate the feeling of being going on a skiing adventure whenever you hop on it. Its incredible design and unique formation are so versatile that it can add on to the glory of the place where it is installed. Another version of a ski lift chair porch swing is the ski lift bench. These two versions are same in structure but one can make movements, and the other is stationary. Benches can be installed anywhere in your house. Any big room with excess space is ideal for a bench. But, benches are mostly preferred in the areas where people gather the most like the public parks and playgrounds. On the other hand, swings are mostly loved by the children, and it is mostly preferred on their rooftops and porches.